Welcome to the first episode of “Lehigh Valley Taco Wars”. We asked Lehigh Valley residents to blind taste test three local tacos and give us their reactions. Tacos in this episode were from Taco Town, Mexico Lindo, and Aqui Es: A Taste of Mexico. Taco Wars is filmed in conjunction with The Colony Meadery in Allentown. Stay tuned for more episodes! If you’d like to be considered to be in the next episode, enter here! 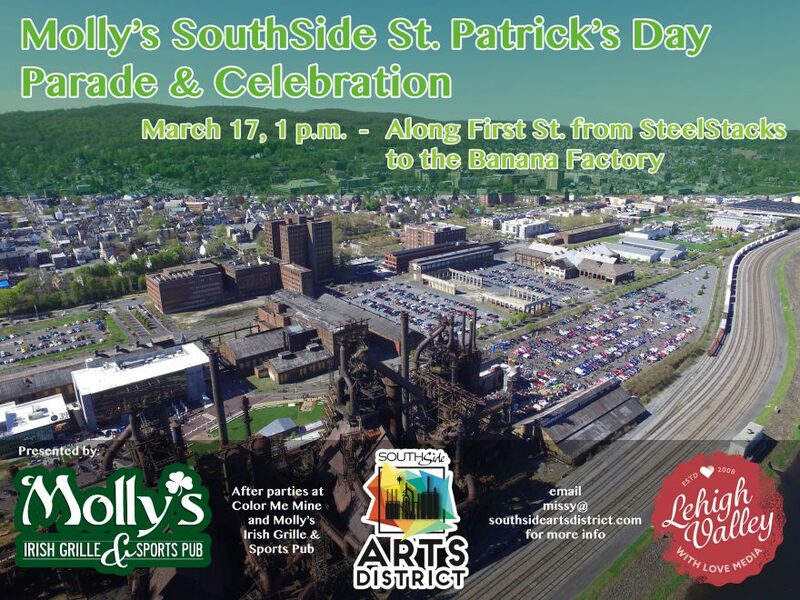 Lehigh Valley with Love Media is proud to sponsor the new Molly’s Southside St. Patrick’s Day Parade in Bethlehem on March 17, 2018 at 1 p.m. beginning at SteelStacks. The parade is the result of the hard work of many individuals, but mostly due to the unwavering fortitude of the SouthSide Arts District. They took what was just a fun idea dreamed up in the ashes of the Parade of Shamrocks’ cancellation only a few months ago and made it into a real life honest to goodness parade. The Lehigh Valley chapter of the International Association of Business Communicators (IABC) is hosting a sweet talk entitled “So You Think You Want to Do a Podcast?” on March 15, 2018 at 1 p.m. at the PBS 39 studios in Bethlehem.